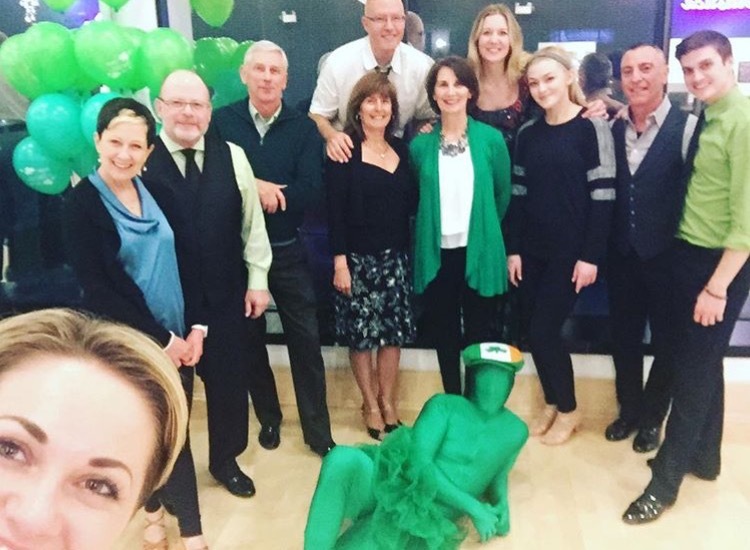 St. Patrick’s Day at Artistica! Hope you all had a Happy St. Patrick’s Day!!! It’s a special day at Artistica and someone in particular feels special 🙂 We had a great time at the party! Ok, so who can guess who is in the tutu? https://i1.wp.com/artisticaballroomdance.com/wp-content/uploads/2017/03/shamrock.png?fit=114%2C122 122 114 The Artistica Team http://artisticaballroomdance.com/wp-content/uploads/2018/09/09-2018-ArtisticaV2TMD.png The Artistica Team2017-03-20 22:33:322017-04-12 16:08:47St. Patrick's Day at Artistica! 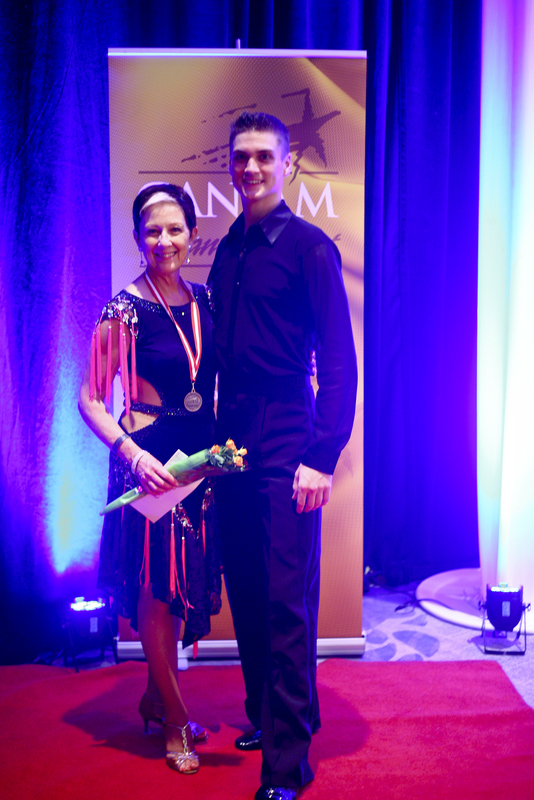 We are so proud of all of our students who danced beautifully at this special competition in Montreal in February. 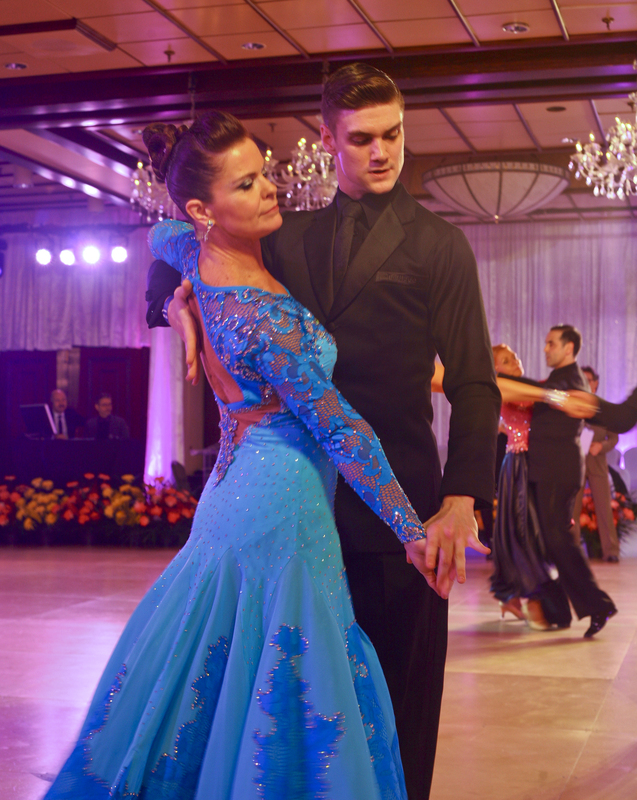 It’s such a unique event organized by the celebrated Meryem Pearson and Daniel Heroux – famed dancers, teachers and coaches who now run this world-class, elegant event. We were all thrilled to participate! We saw some amazing dancing including professional competitions and a professional show by the reigning latin world champions. WOW! 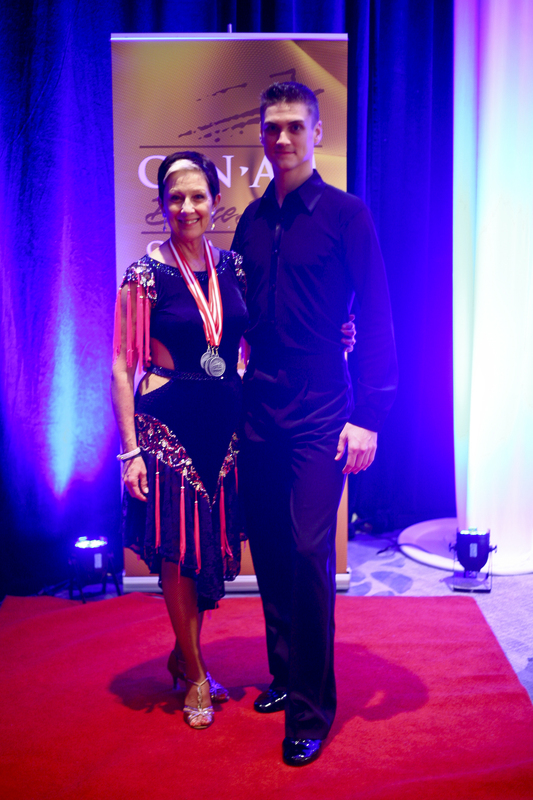 And for our own results…..Patti and Lori both placed in the gold and silver level Scholarship events. AAAND, of the top 10 students at the whole competition (wait for it….) Artistica had 3 of the placements – congratulations Lori, Patti, and Carm for their amazing results! Our wonderful Patrick won 8th top teacher – which is no small feat as there were close to 100 teachers competing. 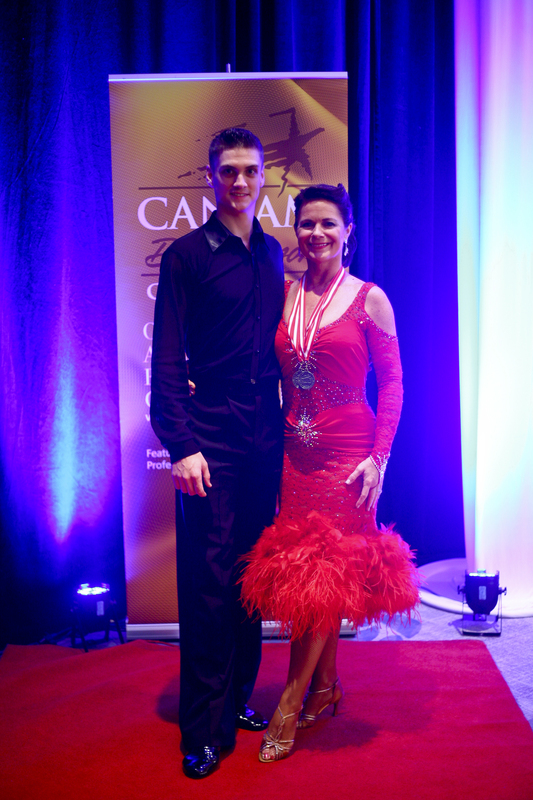 Here are some pictures of our dancers and you can link to our Facebook page for more pictures of La Classique! On Saturday February 25th Anastasia, Kelly and Patrick led the warm up for the fundraising walk ‘The Coldest Night of the Year’. The Coldest Night of the Year is a super fun, family-friendly walking fundraiser that raises money for the hungry, homeless and hurting in 100+ communities across Canada. Click here for more info about this wonderful event. 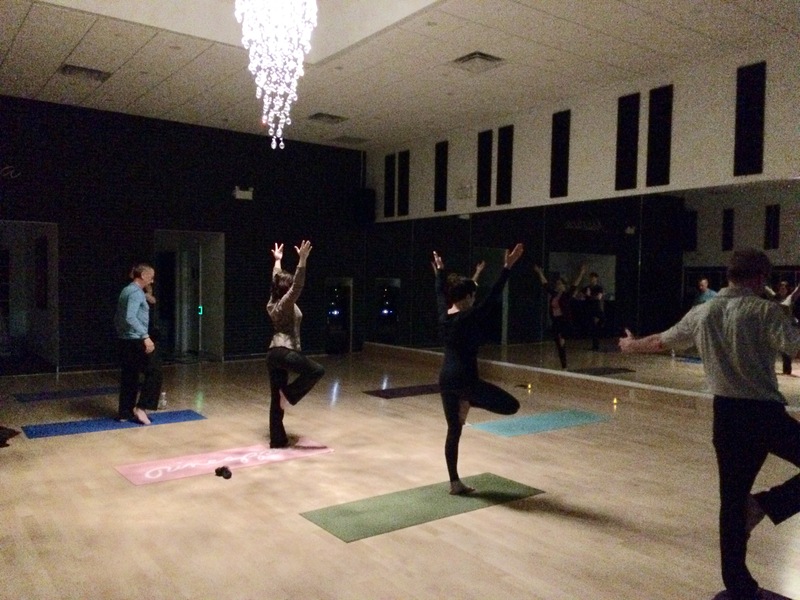 We are all SOOO enjoying getting strengthened and lengthened in the new Monday night yoga for ballroom dancing class! We decided to do this class to improve our students’ balance, flexibility, and mental focus, all of which build dancing skill and ability. It’s great for beginners and advanced students too! Here’s an interesting research article about the many benefits of yoga. We hope to see you all at Monday night yoga really soon! https://i0.wp.com/artisticaballroomdance.com/wp-content/uploads/2016/12/yoga-tree.jpg?fit=225%2C225 225 225 The Artistica Team http://artisticaballroomdance.com/wp-content/uploads/2018/09/09-2018-ArtisticaV2TMD.png The Artistica Team2017-02-21 22:56:582017-03-07 03:16:12We love yoga! One student said she had the best sleep ever and told us we are never allowed to cancel this class! This is open to all levels, no experience necessary! Men’s, Ladies and Co-Ed groups have now been moved to Thursday’s at 7:30pm – 8:15pm (45 minutes). The three groups will alternate throughout the month, and they are also open to all levels, so if you’ve been meaning to find out what it’s all about, give them a try! 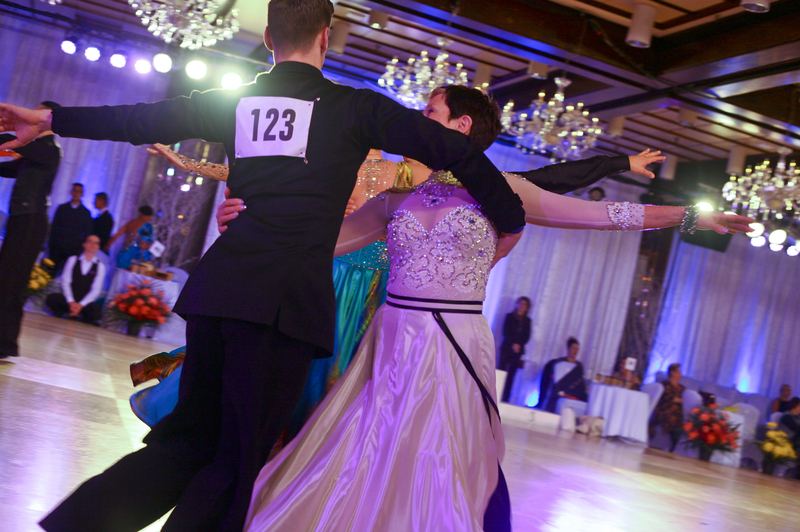 The 2nd annual Aurora/Newmarket Dancing with Easter Seals Ontario Stars was a huge success! The event managed to break some North American records raising $90,000 dollars!That is going to help send a lot of kids to camp, and we are so thrilled to have been a part of this experience! The evening began with a cocktail reception with hors d’oeuvres, an impeccable dinner, followed by the dance competition. 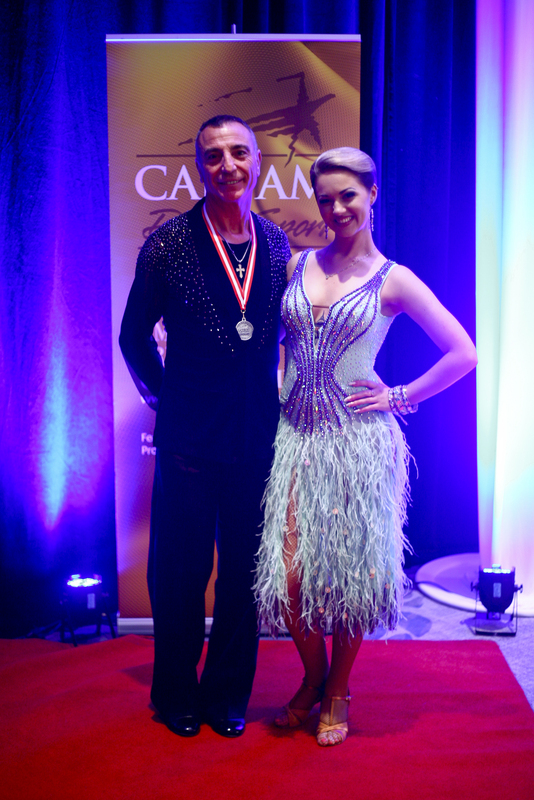 The Easter Seals Stars were Brian North, Lindsay Strom, Andrea Peterson, Chris Emanuel, Rob Clark, Nikki Pett, Tony DiPede and Jennifer Buchannan who were paired with Artistica dancers Kelly Stacey, Patrick Derry and Anastaisa Trutneva. The MC for the evening was Dancing with the Stars alumni Steve Hinder along with celebrity judges Paul Dutton (alumni), Jackie Player (alumni),Tim Jones and Derek Murray. The Easter Seals Ontario 2016 Ambassador AJ Kleiman shared with those in attendance just how important events like this help kids like him. Proceeds from Dancing with Easter Seals Stars will help support children and youth with physical disabilities in our community. Words cannot express how grateful we are to have been able to work with 8 of the most AMAZING men & women from Aurora / Newmarket and helped them bring the whole audience to a standing ovation! Andrea Peterson, Brian North, Chris Emanuel, Jennifer Buchanan, Nikki Pett, Rob Clark, Tony Di Pede & Lindsay Strom you are the absolute greatest, we are better people just for knowing you all. You made us smile every time you came into the studio and the amount of funds you helped raise for the Easter Seals Kids is nothing short of tremendous! Special thank you to our MC :Steve Hinder, we adore you! Thank you to our judges, Jackie Playter, Paul Dutton, Derek Murray & Tim Jones, all four of you were fantastic! Thank you to Charlene from Easter Seals for meeting with us two years ago over coffee and allowing us to be such a big part of this community event! Last but certainly not least, thank you to our students who joined us on the night and cheered everyone on! It was amazing to have our dance family there supporting us! HAPPY 1st YEAR ANNIVERSARY ARTISTICA! We turned 1 year old! It has truly been an amazing year. We saw our dreams come true with the build-out of our new studio, two dance competitions; one of which gave us a top studio award, community events including the first Aurora/Newmarket Dancing with the Easter Seals Stars, our Grand Opening of our new location on Industrial Parkway South, Open Houses, new friends, new students and endless of celebrations! We are so grateful for everyone who celebrated our anniversary with us! We were also able to award our students with giving away over 80 Bonus Lessons, AMAZING! Our evening was a big celebration with toasts and dancing, and we can’t wait to celebrate year 2 and give away even MORE bonus lessons! https://i2.wp.com/artisticaballroomdance.com/wp-content/uploads/2016/05/Artistica-1st-anniversary.jpg?fit=3541%2C2219 2219 3541 Kelly http://artisticaballroomdance.com/wp-content/uploads/2018/09/09-2018-ArtisticaV2TMD.png Kelly2016-10-01 01:08:412016-11-11 01:21:04HAPPY 1st YEAR ANNIVERSARY ARTISTICA! If you live in Aurora, then you couldn’t miss us on the cover of the latest issue of the Auroran Newspaper! On page 8 there is a great article about the Dancing with the Easter Seals Stars event, what it means to the Easter Seals kids and why the stars jumped at the opportunity to participate! https://i0.wp.com/artisticaballroomdance.com/wp-content/uploads/2016/08/IMG_0876.jpg?fit=3264%2C2176 2176 3264 Kelly http://artisticaballroomdance.com/wp-content/uploads/2018/09/09-2018-ArtisticaV2TMD.png Kelly2016-09-14 19:33:502016-11-11 01:08:12We made the FRONT PAGE! 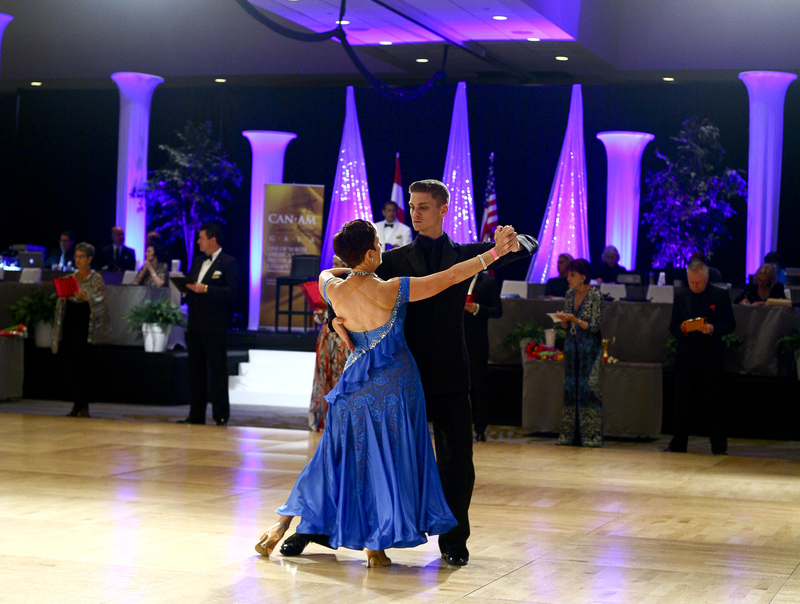 Meet the STARS of this year’s “Dancing with the Easter Seals Stars”! “Choreography, rehearsal, twirl, kick-ball-change, rock step, tap”….. those are all new words this fabulous group of 7 have adopted into their vocabulary over the last few weeks as they gear up to wow the masses at this year’s Dancing with the Easter Seals Stars! We are so honoured to be working with another group of amazing people this year, and so far they are doing REALLY, REALLY well with all of their routines! Everyone who comes to this year’s show is going to be severely entertained with this year’s STARS! Easter Seals Ontario provides programs and services to children and youth with physical disabilities across Ontario to help them achieve greater independence, accessibility and integration. Easter Seals provide financial assistance of up to $3 000 per year, per child to help purchase essential mobility equipment such as wheelchair, walkers, ramps or lifts. In addition to that, they own and operate two fully accessible summer camps and offer children and youth 10-day summer camp experiences. Their camping programs give kids the opportunity to stay away from home and experience a wide range of fully accessible activities, such as a high ropes course, indoor climbing wall, sailing, kayaking, white-water rafting and so much more! If you’d like to make a donation to help support your favourite star, click here! https://i0.wp.com/artisticaballroomdance.com/wp-content/uploads/2016/08/IMG_0876.jpg?fit=3264%2C2176 2176 3264 Kelly http://artisticaballroomdance.com/wp-content/uploads/2018/09/09-2018-ArtisticaV2TMD.png Kelly2016-08-30 20:43:062016-08-30 20:43:06Meet the STARS of this year's "Dancing with the Easter Seals Stars"! 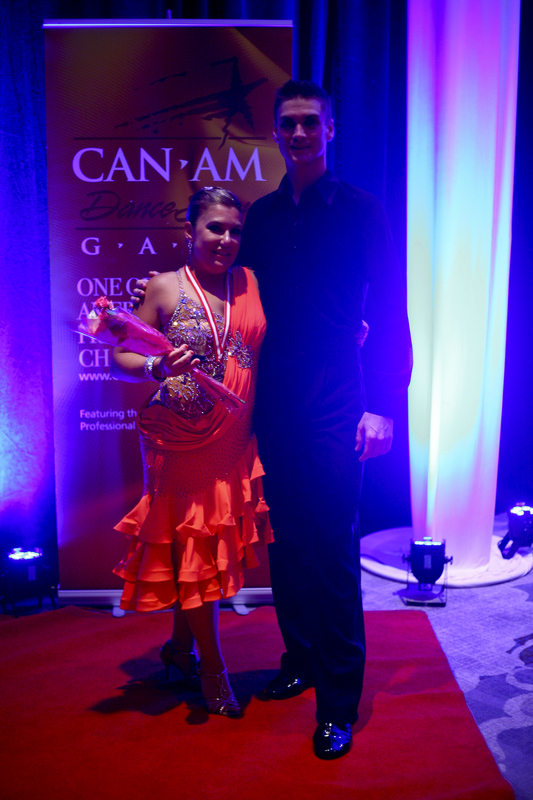 We had an awesome weekend at CanAm Dancesport Gala competition in Toronto! We couldn’t have been happier with the way our students danced and represented the studio with pride! We competed all day Thursday and all day Friday, leaving us cool, calm and collected to enjoy the events on Saturday that included an exciting pro-show. The weekend event closed out with a funny bit of entertainment from all of the judges. Speaking of judges, it was a big highlight for our studio to meet Karina Smirnoff & Louis Van Amstel of DWTS! Artistica had amazing results with students placing in almost all of their heats, and podium finishes for a few scholarship events! 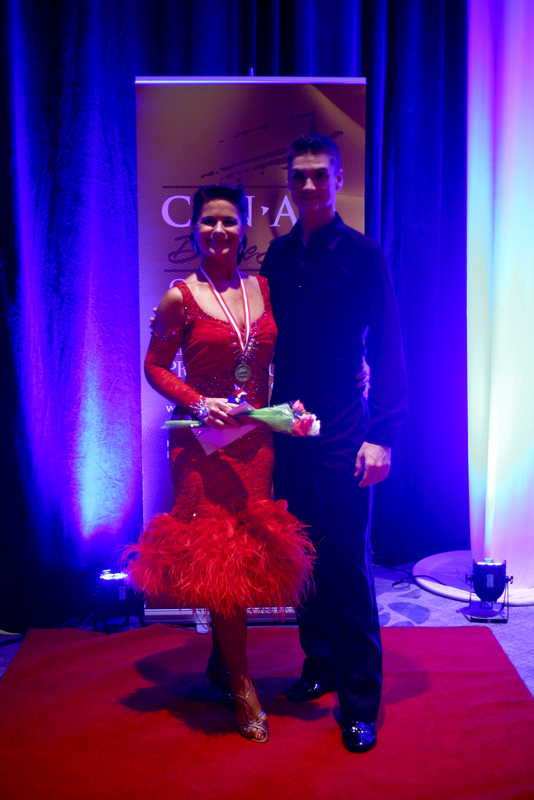 Lori Greco won Top Student overall in her division, and Carmen Cornacchia also won his division! double boom! 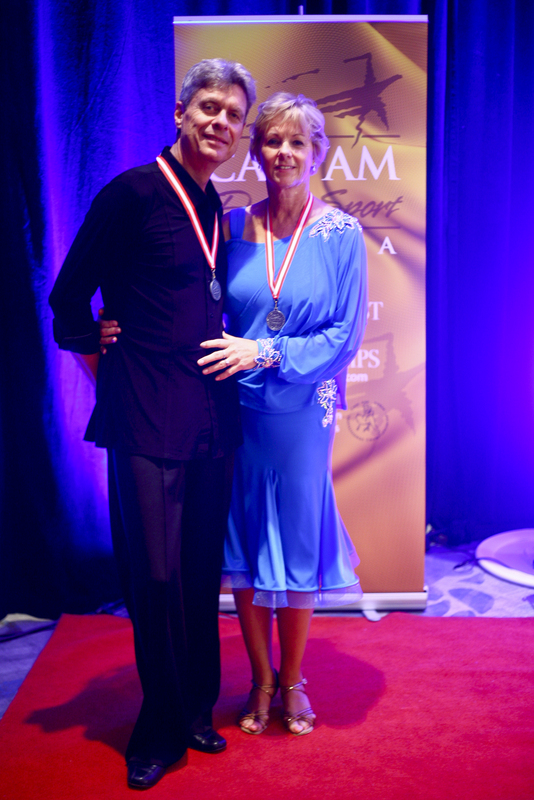 Patti, Lori & Carm were acknowledged for their cumulative placements in the Dancesport Scholarship series, and to top it all off… Patrick won 6th place in the Top Teacher Category! We are going to need to build a trophy case soon….just a humble brag folks. Thanks to all of our students who competed! We hope you know how much we enjoyed the weekend with you, and how proud we are to have shared the dance floor with each of you. Congrats on a job very well done 🙂 And thank you to everyone who joined us on Saturday night for champagne & dinner!